In March 2019, we will be conducting our first ever Drinking Water Education and Testing Campaign. Current 2019 plans include reduced rates for CSP supporters wishing to test their private well in Crawford County and education programs to explore groundwater basics, to interpret drinking water test results, and to discuss appropriate drinking water treatment options, if needed! 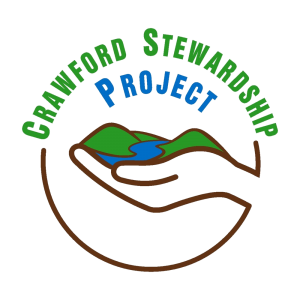 Crawford Stewardship Project will be covering 80% of costs associated with recommended well tests for the first 50 supporters to register. Contact Program Coordinator Forest Jahnke (608-632-2183 or fjahnke@crawfordstewardship.org) to sign up! 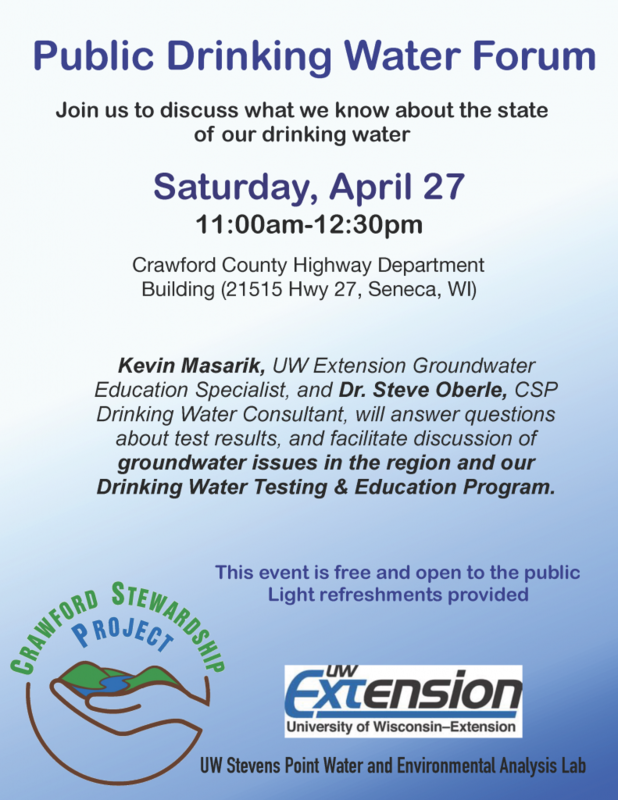 Crawford Stewardship Project is partnering with the Water and Environmental Analysis Lab, UW Stevens Point, to do our lab tests and analysis. We will be providing a 80% financial subsidy for the Homeowner and Metal Packages. The first 50 participants will receive a $100 test value and additional resources for the price of $20! Sign up by February 3rd 2019. Participant Privacy: All individual results will be kept confidential. Any information that is shared will be presented in a way that does not identify individual wells or their owners. Participants will be notified of their individual well test results. Click here for the homeowner and metal package information. Your sample results, along with an interpretation for (Homeowner or Metal Package) will be sent to you within 10 working days after your sample is received in the lab. Additional information may be included if your results indicate a problem. UW-Stevens Point Center for Watershed Science and Education’s Well Water Quality Viewer: Private Well Data for Wisconsin. Check out Environmental Working Group’s National Drinking Water Database to see what could be in your water!